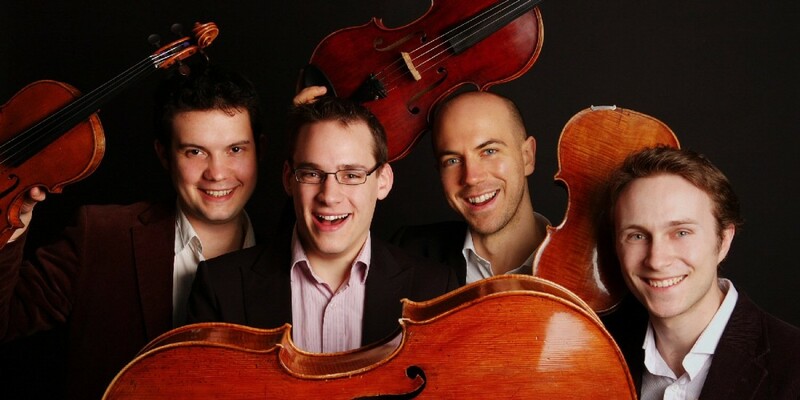 One of the outstanding quartets of its generation, the Doric String Quartet delighted Lancaster concertgoers at the opening of the 40th Anniversary Series. It returns with more Haydn, the first of his 'Prussian' Quartets, influenced by Mozart and paying tribute to the cello-playing King of Prussia. Korngold, a contemporary of Richard Strauss, is best known for his swashbuckling Hollywood filmscores. In marked contrast, the second of his three string quartets takes us from skittish fanfares and tumbling energy to a world of half-lights and gentle melancholy. Brahms's F minor Piano Quartet - powerfully tragic yet also lilting and whimsical - ends the concert on a glorious note.